There is a little known fact concerning the current bicycling scene in North America. 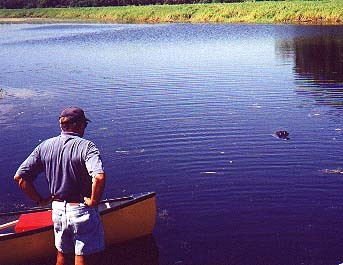 Most television viewers know about the bicycle X games and that Lance Armstrong, an american won the Tour De France under the sponsorship of the U.S. Post office. Kids on BMX bikes are ubiquitous but what about that other group of riders; senior citizens. 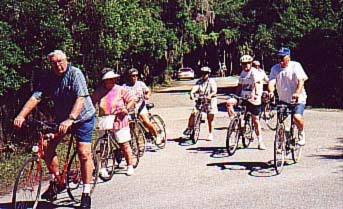 Did you know that many thousands of senior citizens ride bicycles? I'm talking about RV owners, mobile home dwellers, and snowbirds. The next time you are on an interstate, pay attention to the RV's. 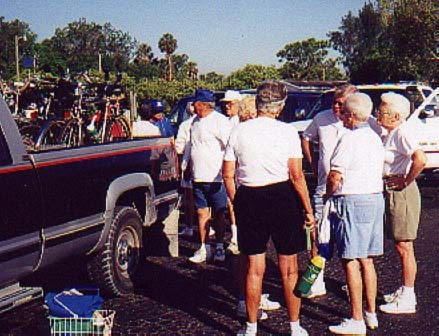 Almost all of them have a couple of bikes strapped on the back and the great majority of the occupants are seniors. 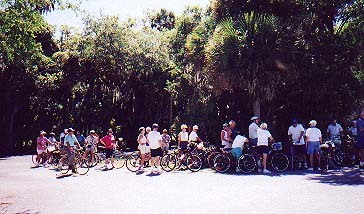 Take a tour of a mobile home park in the retirement states of Florida and Arizona and you will see bicycles at almost every home. 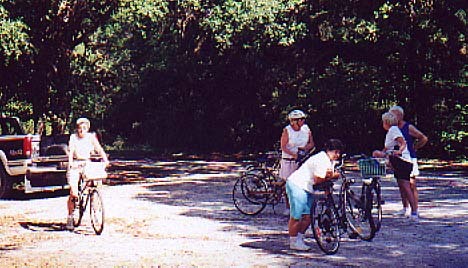 Bicycles are the vehicle of choice for in-park transportation to the pool, picking up the mail, hurrying to the clubhouse for bingo, and for just plain checking out whats happening around the park. What kind of bikes do seniors ride? Most of them are riding older middleweight 3 speeds of the 60's through the mid 80's. In addition there are a lot of old single speed balloon tired bikes with coaster brakes. Of course you will see some modern mountain bikes and a few older road bikes. Another type of bicycle that is used by a sizeable segment of senior riders is the adult tricycle. One very unusual bike in our park is the Canadian made CosyCycle Surrey shown. Older bikes are in plentiful supply in retirement communities and prices are quite low. Most bikes can be bought for $20 or less. Garage sales provide a great source for bikes, some of them in quite good condition. I hope you enjoyed looking at this bike and I welcome your comments.